ItemI-58192 - "Lunch, Deep Creek cabin, Nechako Road". ItemI-58194 - "Making stationery box - Bulkley, Ho. "; Frank Swannell and Alexander. ItemI-58195 - Frank Swannell at Takla Lake, reading triangulation. ItemI-58196 - Yuen and Stevens exchanging provisions, south Tatla Lake. ItemI-58199 - "Ah Hoo, a miner of 1871, aged 63 years, Germansen Creek". 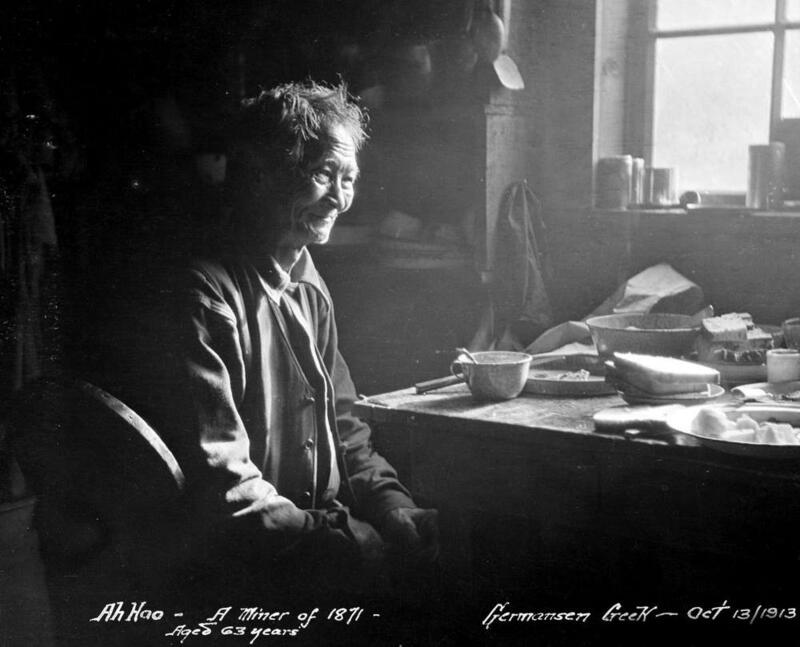 ItemI-58200 - Old Ah Hoo, Omineca miner of 1871, Germansen Creek. ItemI-58201 - "Jim Yuen melting snow for water"; Nep Yeun. ItemI-58202 - George Copley and Mitchell on Manson Trail. ItemI-58203 - George Copley, Mitchell and Currie at camp at Lower Nation Lake. Item I-58199 - "Ah Hoo, a miner of 1871, aged 63 years, Germansen Creek".